Identification: Eastern North America's only sesiid moth without a tuft of hair-scales on tip of antenna. Body black, with yellow markings on thorax and abdomen. Wings transparent, with brownish borders. 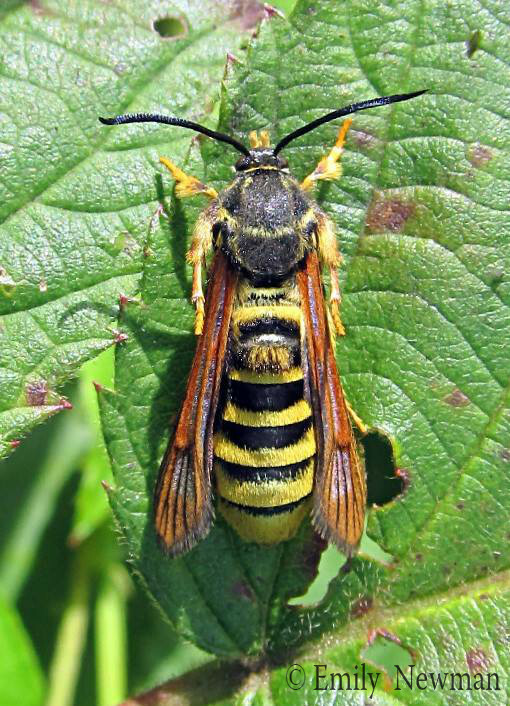 Life History: These moths mimic yellowjackets in behavior and appearance, and they may be common around brambles of host plants. Caterpillar Hosts: Blackberries and raspberries. Range: Newfoundland to North Carolina, west to Ontario, Missouri, and Mississippi.